Join us in diving forks first into all the hottest brunch spots. We hope that after this, you’ll think about becoming a “morning person,” after all. Join us in diving forks first into all the hottest brunch spots. 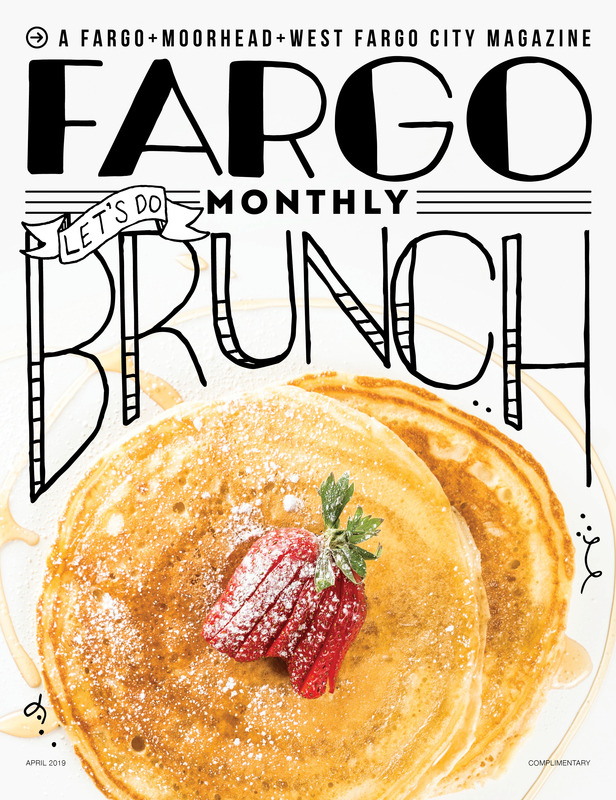 Whether you are looking for a birthday brunch with the girlfriends or some carb-filled fuel to break a hangover, these Fargo restaurants have you covered. We hope that after this, you’ll think about becoming a “morning person,” after all. Nestled underground on Main Avenue, VIP Restaurant provides a cozy and upscale take on brunch. A new week means a new menu at VIP. With the menu changing every single week, there will always be something new to try, but it’s always guaranteed to be delicious. Surrounded by book-lined brick walls and local art, enjoy dishes like Kielbasa & Pepper Potato Hash or Turkey Florentine Eggs Benedict with roasted red peppers. If planning ahead is your thing, be sure to keep up with them on their website or Facebook page to see the shifts in menu each week. Brunch: Everyday starting at 6 a.m.
Family-friendly homestyle cooking lives at The Shack. Friendly staff and timeless breakfast staples on the menu make this place a go-to. Breakfast is rumored to be the most important meal of the day, and nothing beats starting this day with pancakes smothered in warm syrup, eggs prepared your favorite way (scrambled, sunny-side up, over easy, omelet…the list goes on) and a freshly brewed cup of coffee. For a no muss, no fuss guaranteed enjoyable start to your day, look no further than The Shack. Fargo’s urban cidery, Wild Terra, is known for its cider selection and unbeatable ambiance. Adding to their already high appeal, they recently added a brunch selection on Sunday’s 11 a.m. to 2 p.m. Everything on their menu is vegetarian and is able to be made vegan or gluten-free, as well. Their standard brunch menu includes favorites like this crispy potato and tofu hash or their breakfast burrito. On special occasions, they plan a toast bar and bottomless mimosa bar, including over 25 ways to top your toast! Brunch: All day every. Single. Day. The Boiler Room’s industrial, underground eatery offers a menu with something for everyone. On the sweet side, their famous Rumchata French Toast is gilded with a warm, banana butter sauce and topped with a kiss of whipped cream. For a savory take, the Chicken and Waffle serves up a generous-sized fried chicken on top of a fluffy waffle and smothered in a sausage gravy. Another hearty option, the Crab Cake Benedict, is a seared crab cake crowned in a fried egg with hollandaise and diced tomato coating the whole stack. And what is a brunch without some classic sides? Choose three-cheese tater tots, fresh seasonal fruit, fried eggs or crispy bacon to really bring your brunch affair together. Available during all business hours, you can enjoy this brunch experience all day, any day. Brunch: T-Sa: 7 a.m. to 2 p.m.; SU: 8 a.m. to 2 p.m.
For a brunch that feels like home (if your home just happens to be mouth-watering), CJ’s Kitchen is the place to go. A true Mom and Pop shop, CJ’s Kitchen makes everything from scratch. Go traditional with a massive Caramel Roll or their highly praised Buttermilk Pancakes (batter made from scratch daily…even hourly on the weekends!) For a different route, PB & J French Toast topped with fresh fruit is as filling and flavorful as it is beautiful. Fresh and handmade is the name of the game at CJ’s Kitchen, who can say no to that? Lawless Brunch: Sundays 9 a.m. to 2 p.m. Launched with their new menu, the lawless brunch features a build your own donut bar where you can choose your own assortment of breakfast cereals, fruit, icing and other toppings. It doesn’t stop there though. Their bloody marys are a meal in themselves. Granite City has four different types of infused vodkas, including habanero and chipotle, maple, vegetable and a horseradish vodka. Oh, and don’t forget that they also brew their own beers on site. Tru Blu Social Club’s family-friendly brunch buffet is not your average buffet. Featuring your combination of shrimp cocktails, build-your-own omelets, a carving station and a rotating selection of many more hot and cold items, all for $18. Every time you come you can create your own different combination of hot and cold, sweet and savory, classic and upscale. With this variety and their generous seating capacity, Tru Blu is ideal for large get-togethers and one-on-one brunches, alike.